Let's start of with Libra, Sagittarius, Scorpio, Capricorn, Aquarius and Pisces. 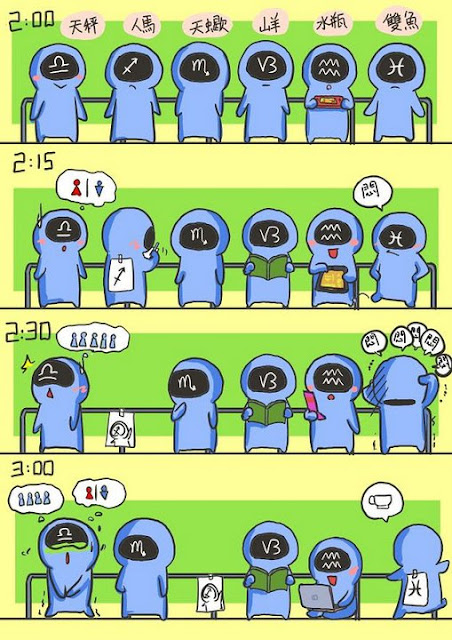 Next is... Aries, Taurus, Gemini, Cancer, Leo and lastly, Virgo. 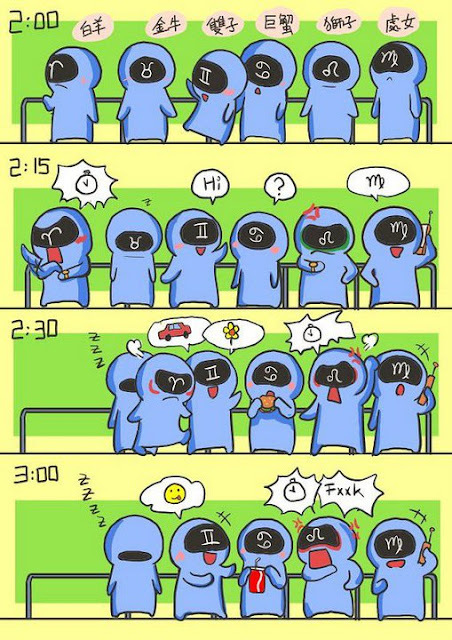 Anyway, what do you think about the accuracy of the horoscope reaction shown in the picture? To me, I think it's 50-50. LOL! Iphone Application — "Pucca's Restaurant"